Walk-In Weaves Expands to Charlotte | New Growth Hair Magazine | We capture the culture of urban barbershops and beauty salons. 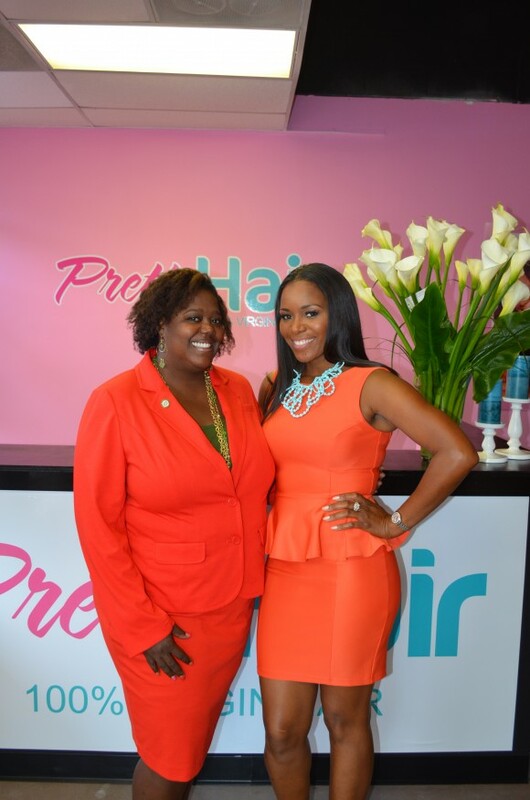 Maja M. Sly, entrepreneur and creator of Walk-In Weaves opened her sixth salon in Charlotte, NC located at 200-F West Woodlawn Road. LaWana Mayfield, District 3 Charlotte City Councilwoman presided over the grand opening and ribbon cutting ceremony at Charlotte’s new Walk-In Weaves location. Mayfield was excited about another new business opening in her district with employment opportunities for Charlotte residents. Sly said that her Charlotte location is the ideal place to expand her brand. In addition to provide high quality hair services and virgin hair weave, Maja Sly said that she is committed to serving the community. Sly is the founder of a program entitled “Her Head Is In The Books”, which encourages and empowers young women to stay focused on their education. The mission of Her Head Is In The Books is to stress the collective power of beauty and brains. Maja Sly used her finance degree and her passion for the hair care industry to create Walk-In Weaves. Sly is determined to encourage young women that you can be beautiful, intelligent, and make a difference in their community.